Our Hangzhou CIS year is a very special programme that many former students have already called the most memorable year of their lives. At its heart is the intention to make the most of a unique residential setting in one of the world’s most cultured and forward-looking cities and to achieve the very best for our students - a positive impact which we think will stay with them for many years to come. The student learning experience is specific to Hangzhou CIS and autonomous from Greentown Yuhua School. Students examine issues from local and global perspectives, using different disciplines, different skills and the ample asset that is the city of Hangzhou. 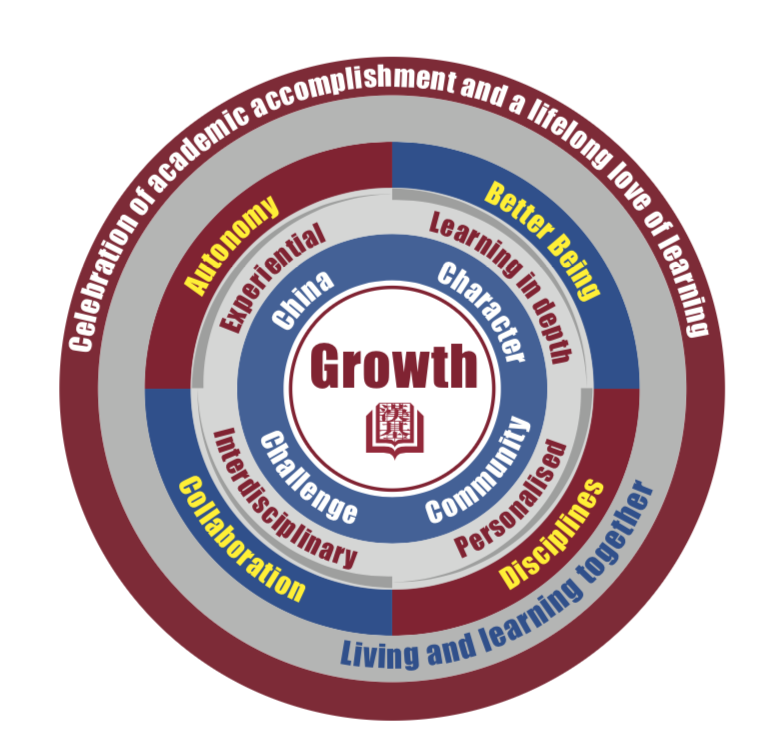 To gain a complete picture of the Hangzhou CIS learning approach, please be sure to also view the Off Campus page. Hangzhou is a tailored and holistic programme, built on the four pillars of Community, Character, Challenge and China. Built around a single year-level (Year 10/US 9th grade), our Hangzhou CIS programme fosters close-knit relationships and inclusivity, creating an unparalleled environment for student growth and learning. Our Hangzhou CIS programme is committed to whole-person growth and character development. Our students are encouraged to become more confident young people, attentive to their own wellbeing, and also that of other community members living with them. Our Hangzhou CIS programme fosters growth by presenting students with appropriate challenges. In addition to the challenge of living in a new environment, students also learn in new ways and are explicitly challenged to keep an open mind, foster a growth mindset and build resilience. Our Hangzhou CIS programme achieves its aims within the context of the Chinese mainland. As students get to know their new home city and region, rich opportunities are created for students to develop and apply their language skills and cultural appreciation in authentic and experiential settings, both inside and outside the classroom. Taught in English and Chinese, the formal Hangzhou CIS curriculum makes maximum use of the resources of the city and environs to enhance students’ Chinese language proficiency and understanding of traditional and contemporary Chinese culture. Hangzhou CIS students enjoy a high degree of personal attention. Hangzhou CIS teachers have been specifically hired to ensure experience in and commitment to international education and boarding school life. The curriculum has been developed within and is fully compatible with the framework of the interdisciplinary International Baccalaureate "Middle Years Programme" (IBMYP) and with the ongoing Hong Kong CIS curriculum. We call our curriculum the “Modern Quadrivium”, using the old Latin term for what were once upon a time the essential areas of learning for an educated person (arithmetic, geometry, music and astronomy). In the Hangzhou CIS case, we emphasise four recognised focuses of contemporary practice, which we have renamed “Autonomy”, “Better Being”, “Collaboration” and “Disciplines”. These four interconnected parts are intended to ensure that our students connect to the fullest with their living and learning environment in Hangzhou and acquire the skills needed for success in the 21st century. When a student is encouraged to become an expert in an area of personal interest, the student becomes engaged, experiences mastery and becomes better able to govern all of his or her learning. CIS has developed its own version of positive psychology which seeks to equip every student with the ethical core, character, virtue, well-being, self-knowledge and the skills and understanding to achieve his or her fullest potential and live a good life. The Arts, Design, “Individuals and Societies”, and Science are taught as an interdisciplinary course across ten areas of academic inquiry. Mathematics, Language Acquisition (Chinese, French and Spanish), Language and Literature (English and Chinese) are taught traditionally as separate areas of exploration. A note on assessment: C and D, and aspects of B are assessed using the assessment criteria of the IB Middle Years Programme (MYP). Better Being is a taught course that aims for students to develop a better understanding of themselves and their strengths, their place in the world, their future direction, and mindful practices and other proven strategies and techniques which they can draw to on in times of adversity. Both physical and mental health are emphasised as important aspects of overall well-being. The routine of regular sessions called “Home Time”, “Family Time” and “Move Time” and other opportunities to get together create a safe, open atmosphere for the explorations and discussions that these projects require. School holidays coincide with those of Hong Kong CIS, but are one week longer. Find the Hangzhou CIS calendar at Fees, Travel & Logistics. Please note that, even accounting for longer breaks, Hangzhou CIS contact hours are greater than for Hong Kong CIS. While classes are held six days a week and after dinner, the Hangzhou CIS timetable also allows for appropriate breaks, with an extended period of non-class time every afternoon. Appropriate provisions are made in acknowledgement of the fact that the vast majority of students come from or return to Hong Kong CIS. For example, in the latter half of the year, staff from Hong Kong will visit Hangzhou to ensure that students are prepared to undertake the IBMYP Personal Project in Year 11.